Shushma Patel, Professor of Information Systems in the School of Business at London South Bank University (LSBU), has been selected to be an expert evaluator for Horizon 2020, the biggest research and innovation programme in the European Union. Horizon 2020 is the EU's flagship initiative aimed at securing Europe's global competitiveness. With nearly €80 billion of funding available over seven years – in addition to the private investment that this money will attract – Horizon 2020 is set to deliver more breakthroughs, discoveries and world-firsts by taking ideas from the lab straight to the market. Expert evaluators are selected based on their high-level of expertise in their relevant fields of research. Professor Patel brings more than 20 years of teaching and research experience in Information Systems, Cognitive Informatics, Change Management, Organisational Behaviour and Qualitative Research. She also works with industry in the development of comprehensive technology and business solutions, to propel the organisations towards new levels of success in highly competitive markets. 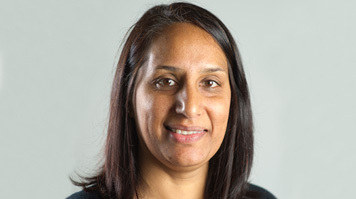 Before joining LSBU, Professor Patel worked on many clinical research projects, in collaboration with, and funded by leading pharmaceutical companies and medical research councils. Professor Patel said "This is an exciting opportunity for a LSBU academic to be involved in evaluating proposals in the largest global research funding initiative. I am honoured to have a chance of selecting and implementing research which will contribute to moving our society forward."